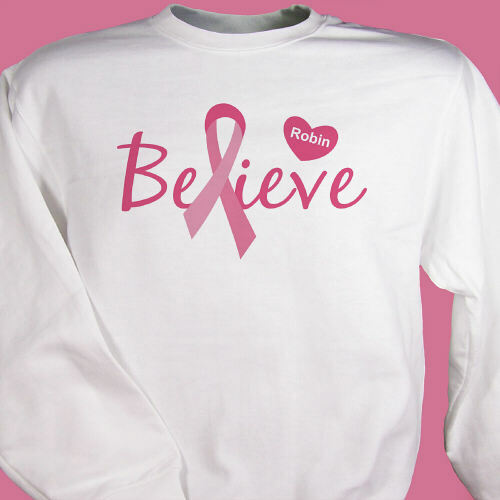 Believe in the Cure for Breast Cancer with your own Custom Printed Believe Sweatshirt. A great way to spread awareness for finding a cure while attending a Breast Cancer Walk or visiting the mall. 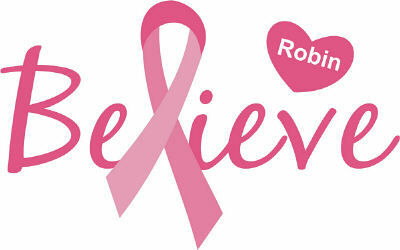 A personal touch is a great way to support my fellow breast cancer survivors. I ordered 3 personalized sweatshirts as gifts. Additional Details GiftsForYouNow.com is the leader in Personalized Breast Cancer Awareness Shirts, Gifts and Keepsakes. We have Unique Breast Cancer Awareness Gifts which look great. Shop GiftsForYouNow.com today.